If you have setup your gmail account (with Google Apps or not) using POP3 in Thunderbird and want to retrieve your emails in more than one computer you’ll notice that the emails will only go to one of the computer, the first one to download the emails since last download. In order to go around this issue, you have to enable IMAP in your gmail account, by going to to Forwarding and POP/IMAP tab and selecting Enable IMAP then click Save Changes (See screenshot below). On the computer already configured with POP3, you’ll have to create a new account and delete the old one. Backup your profile using Mozbackup in case something goes wrong. If you have any message filters you can exit Thunderbird and move the “msgFilterRules.dat” file from the directory named after your POP server in the Mail subdirectory in your profile to the directory named after your IMAP mail server in the ImapMail subdirectory. That will let you reuse the message filters. After that you may have to edit the rules as it may try to move the emails to the old directories. Alternatively, you could also skip this step and create all rules manually. Verify your new IMAP account is working properly and let Thunderbird download the header and messages. (This may take a while), verify that the message filters are working. If some files are missing (check the directories especially), copy the email manually between your POP and IMAP accounts. Delete the POP account using Tools -> Account Settings -> Remove Account. The POP account files will still be in your disk, you can delete them in your profile profile if you wish to save space. 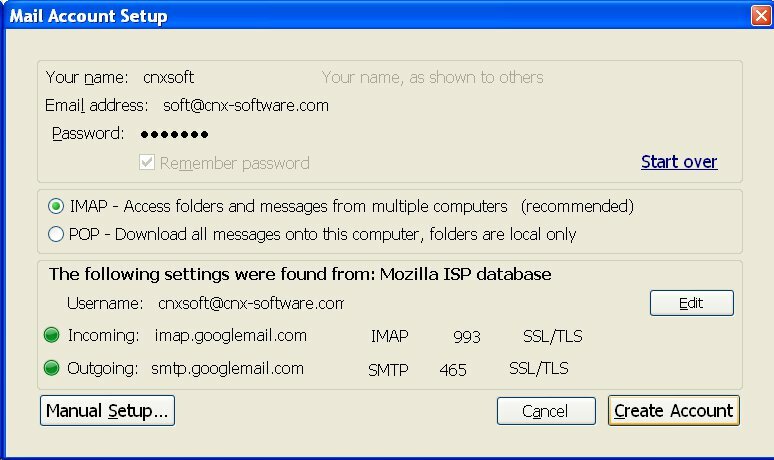 On the “new” computer, simply add the IMAP gmail account (Step 2 above) and download the messages. Your two (or more) computer should now be synchronized to manage your gmail account(s) in Thunderbird, you’ll also have access to the Spam, Trash, Draft… directories that you could not access with POP3. 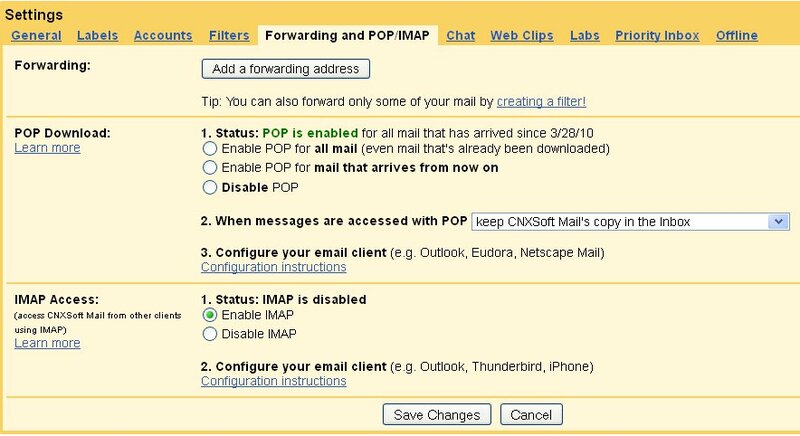 IMAP is a client/server protocol, so it will synchronize everything, so if you delete emails in Thunderbird, those emails will also be deleted in your gmail account (moved to Trash), if you create a directory in Thunderbird, it will also be created in your gmail account as a Label, etc… Any action in one computer, will be reflected in the other(s). Hi, google ads under RSS and Twitter link buttons on top of drop down list and prevent user from subscription. Thank you for letting me know Arcko. I’ve moved Google Ads down, it should work now.